A combination of innersprings and memory foam, hybrid mattresses deliver the best of both comfort and support. Because they merge the supportive benefits of innersprings with the comfort benefits of memory foam, hybrid mattresses are designed to meet the preferences of every type of sleeper. Available in plush, medium and firm density levels, a quality hybrid mattress is the perfect sleep solution for those who crave the best of both worlds. If you currently find it difficult to sleep due to spinal pain or pressure, the problem could be an old or poorly made mattress – and the solution could be as simple as replacing it with the pressure-relieving foams, gels and springs of a high-quality hybrid mattress. For the ultimate in gentle contouring, firm support and luxurious comfort, go with a hybrid! The Revive Copper Hybrid Plush provides a steady balance between support and comfort and is perfect for back sleepers who prefer a softer feel. Features include cool bounce copper gel for ventilated foam, a direct contact design for contouring hold, a tri-zoned foam encasement for enhanced lumbar support and Revive’s popular 7-Series Wrapped Coils system for eliminated motion transfer. Beautyrest’s signature Pocketed Memory Foam for supreme support, contour and motion separation distinguishes the Brayton Firm hybrid mattress from the rest – and makes it especially perfect for those who sleep on their backs, prefer a firmer feel and/or share a bed with a partner. 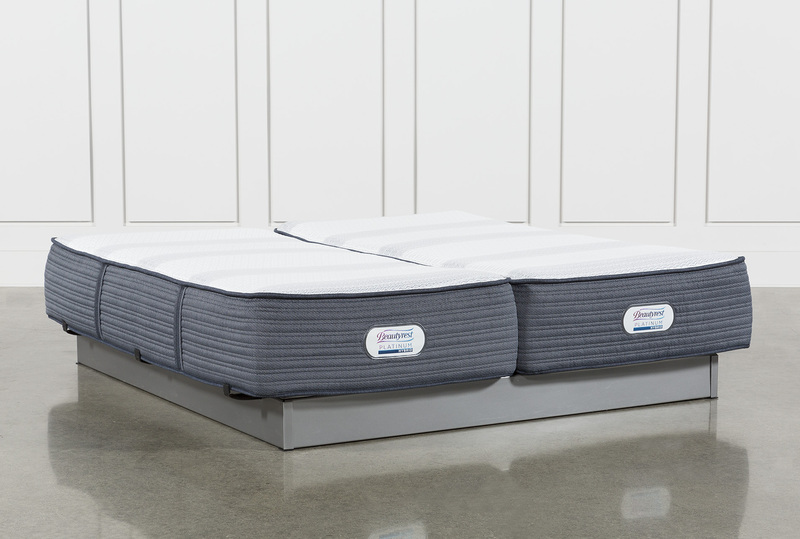 Beautyrest’s Brayton Plush hybrid merges the support of the PressureSense Hybrid System and alternating Pocketed Coil Springs with the contour of Pocketed Memory Foam for the powerful comfort and forgiving pressure-relief side-sleepers need. Although side sleepers need soft cushioning to allow for full relaxation of pressure-laden joints, some side sleepers simply may prefer the feel of a slightly firmer mattress – which is where the h2 Plush Hybrid by Revive comes in! Featuring a tight top and Revive’s signature dense solid foam and innersprings, the h2 falls somewhere in between plush and firm, perfect for the side sleeper looking for a soft mattress with a little extra support. While every mattress from the Revive brand offers the best in contouring foams and supportive springs, none incorporates copper gel quite like the innovative Copper Hybrid Firm. Prominently layered alongside Revive’s signature spring system – and renowned for its ability to mold to the shape of your body – the copper gel foam works while you sleep to keep your spine elevated and aligned. More than side and back sleepers, stomach sleepers need extra support – and the h2 from Revive’s got it. Featuring Revive’s classic combination of quality memory foam and steel coils, the h2 also features a unique fabric surface designed to keep you cool – perfect for those who tend to sleep hot and prefer a firmer feel.